Day surgery or overnight stay? When it comes to recovery, there is no place like home. “When can I go home?” This is one of the most common questions patients ask. It’s also the one that gets the most smiles when we tell them they can go home mid or late morning, or early afternoon, the same day as the surgery. Many cosmetic procedures such as liposuction, breast reduction, facelift surgery, and tummy tucks are now done in one day, ensuring patients arrive in the morning, have their operation, and then go home in the afternoon. Our experience is people tend to prefer undergoing cosmetic surgery as an outpatient or as a day case, knowing they can leave as soon as possible and recover at home. While there some surgeons feel patients would be safer or more comfortable surrounded by surgical equipment, hospitals bring their own unique risks, including exposure to superbugs or other infections. Research in the American Journal of Advanced Nursing studied 184,000 aesthetic surgical procedures and found that it significantly safer not to stay overnight. Complications were very low overall, but 25 percent higher in the hospital with a greater risk of infection, suspected venous thromboembolic and chest thromboembolic problems. 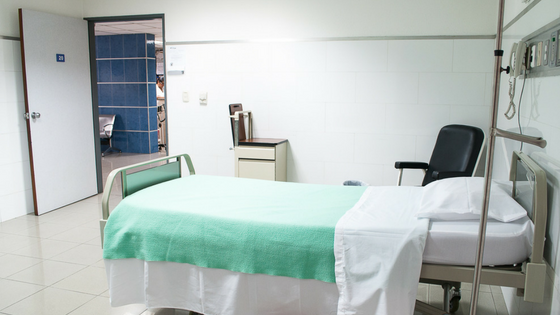 In the UK, bed shortages and the Winter crisis fallout is placing enormous pressure on the NHS, which itself is prioritizing day surgeries in a bid to save billions. Most of the time, procedures requiring overnight stay involve extremely complex surgeries, or are long and could lead to significant blood loss. But contrary to cliches on TV or in the media, just because a patient is having surgery does not automatically mean they have to stay overnight. We specialize in rapid, same-day surgery performed to the highest standards. Dr Gupta has led the way in performing tumescent liposuction (or microlipo) procedures regularly as a day case, saving not just time but costs to our patients, at greater levels of safety than those who must stay in the hospital. Cosmetic surgery, including microlipo, is almost always carried out with stable blood pressure and minimal blood loss, ensuring patients can safely go home. And when we speak to potential patients, they often tell us very simply they would rather recover in the comfort of their own home if they have a surgery such as breast reduction that could leave them a little tender. If you’re considering cosmetic surgery, don’t assume an overnight stay is necessary when recovering at home may be the best medicine. The safety of our patients is paramount, and a successful treatment is one where the patient comes out with a sense of satisfaction in the areas of comfort, safety and result. Dr Gupta takes into consideration various factors including the patient’s current health status, weight and areas of treatment before advising them on the safest sedation procedure. The clinic also firmly believes in getting to know a prospective patient and understanding their reasons for wanting the surgery before embarking upon the procedure; we do not take risks, and will not embark on any surgery if the chance of a complication arising is high. Following an initial conversation, Dr Gupta, with more than 3,000 surgeries to his name, will explain each type, identifying what he believes will be best for your needs and situation. Our clinic is the centre of excellence for tumescent liposuction and microlipo; which has featured prominently in the U.K. media as the best, fastest and safest around for both women and men. If you have questions about surgery and the potential length of stay and recovery time, contact Dr Gupta today for a free consultation.